Provide comfort for the family of Rose Paterson with a meaningful gesture of sympathy. 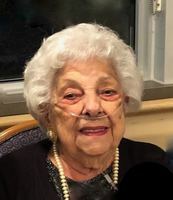 Rose passed away, very peacefully, in her 96th year, on January 20th, 2019. She was the loving wife of Robert Edwards, the devoted mother of Mary Jane (Verne), Marie (Joe), Bob (Julie), Marguarite (Dan), Rosemary (Glynn) and the late Peter. 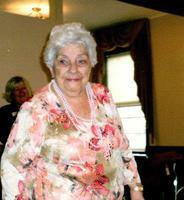 She was a fun and loving Gramma to 9 grandchildren and 9 great-grandchildren. She was the daughter of the late Peter and Marie, predeceased by brother Michael and sister Theresa and survived by Vincent and Patricia. She leaves many cherished nieces, nephews and many good friends. Visitation will be held at the NEWCASTLE FUNERAL HOME, 386 Mill St. S. Newcastle (905-987-3964) on Friday, January 25th, 2019 from 9:30 a.m. until 10:30 a.m. Funeral Mass will be held at ST. FRANCIS OF ASSISI ROMAN CATHOLIC CHURCH, 214 King Ave. E. Newcastle (905-987-5446) on Friday, January 25th, 2019 at 11:00 a.m. Our thanks to all of the staff at Extendicare Port Hope for all their care and kindness to Rose and her family. If desired, donations are appreciated to the M.S. Society of Durham Region or the Canadian Cancer Society. 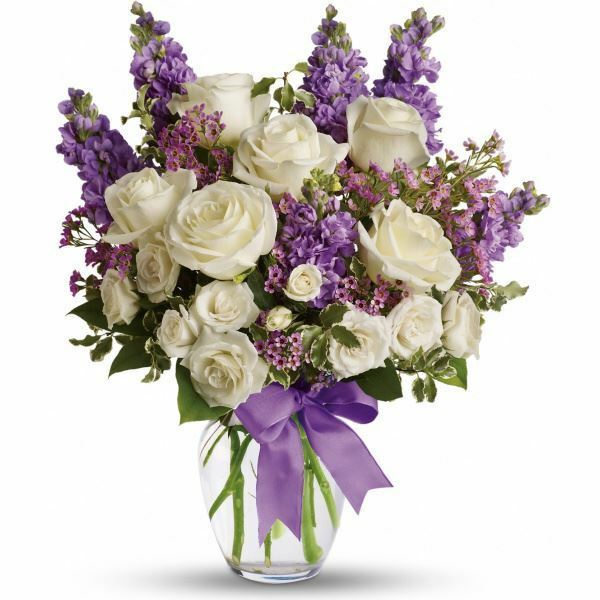 To send flowers in memory of Rose Veronica Paterson, please visit our Heartfelt Sympathies Store. Paul, Heather, Lesley and Shannon and From, Marie, Nora, Rose, Michele, Kathie, and Fami have sent flowers to the family of Rose Veronica Paterson. On behalf of our whole Picarello family: Doreen, Joseph & Susan, we extend our deepest condolences to the whole Paterson family. As neighbours, I spent many childhood days playing over at their house and Rose was always such a warmhearted person. We are blessed to have known her, and value all the fond memories. Paul, Heather, Lesley and Shannon purchased flowers for the family of Rose Paterson.